Product contains egg and soy. Produced in a facility that also processes milk, wheat, peanuts, and tree nuts (pecans, almonds, coconut, cashews, walnut). Great for those who like it hot and spicy! 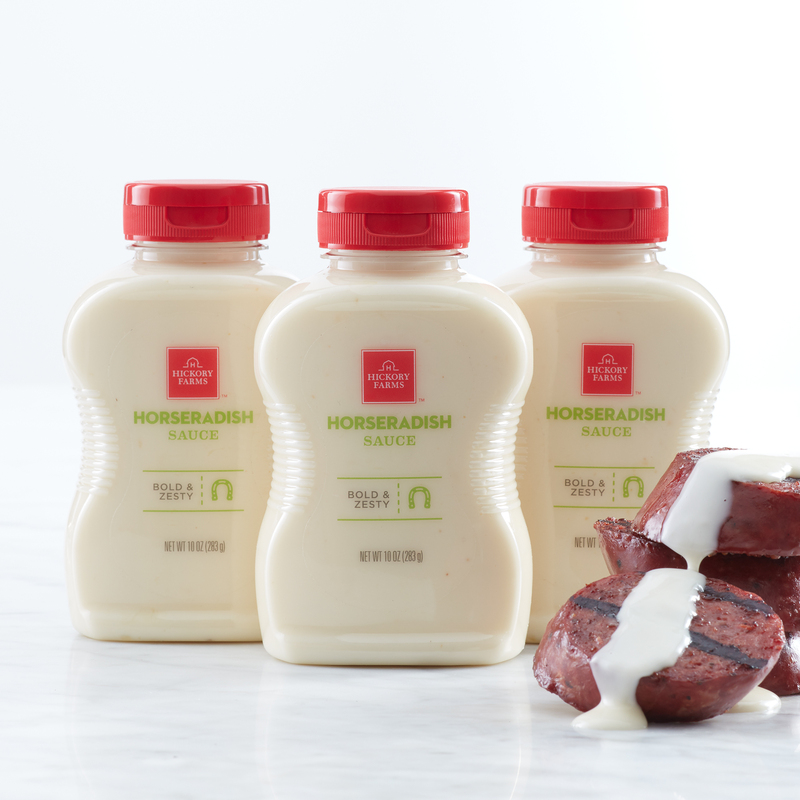 This sauce has a touch of horseradish root and is a zesty addition to any meal. Or, try putting several spoonfuls in a small dish next to slices of summer sausage and cheese for a party snack with a little zing. Try pairing it with grilled summer sausage or our Maryland-Style Crab Cakes!